“I am a proud Indian, it's the land of celebration with all the festivals, vibrance and most importantly emotions. That is what I took to Miss World! Being associated with Malabar Gold has been wonderful, a relationship which is close to my heart with moments that are special to every Indian. 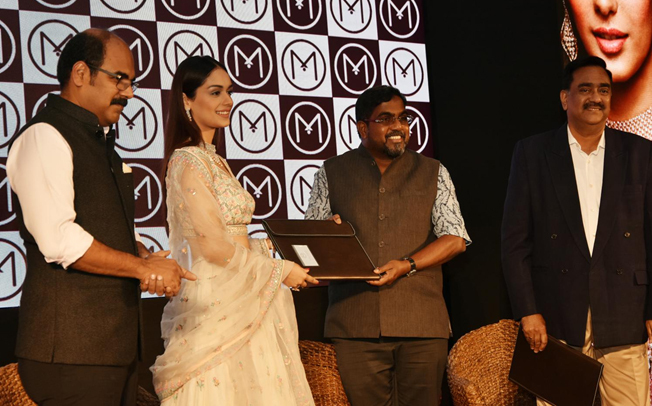 Looking forward to this strong association with Malabar” said Manushi Chillar. The new brand ambassador will be the face for the global campaigns and charity movements of Malabar Gold & Diamonds which is among the top five jewellery brands in the world. Recently, it opened 11 showrooms in six countries at the same time. The Group is planning to expand its presence at the global level, entering more territories and opening 50 more showrooms this year. Malabar Gold & Diamonds is part of the Rs 30,000 crore Malabar Group of companies with interests in diversified businesses including real estate. Incorporated in 1993 as a single shop retail outlet, Malabar Gold & Diamonds has fast became a leader in the jewellery retail business with 215 showrooms spread across India, Singapore, Malaysia and GCC nations like the UAE, Oman, Qatar, Bahrain, Kuwait and Saudi Arabia.